Our website and systems integration service is about automation, convenience and improving your business processes. In a nutshell, it’s getting different systems talking to each other in order to make your business more efficient. For example, managing products through an application, ERP, or POS system like Vend, and also selling them through your website or another channel like Trademe without any additional work required. 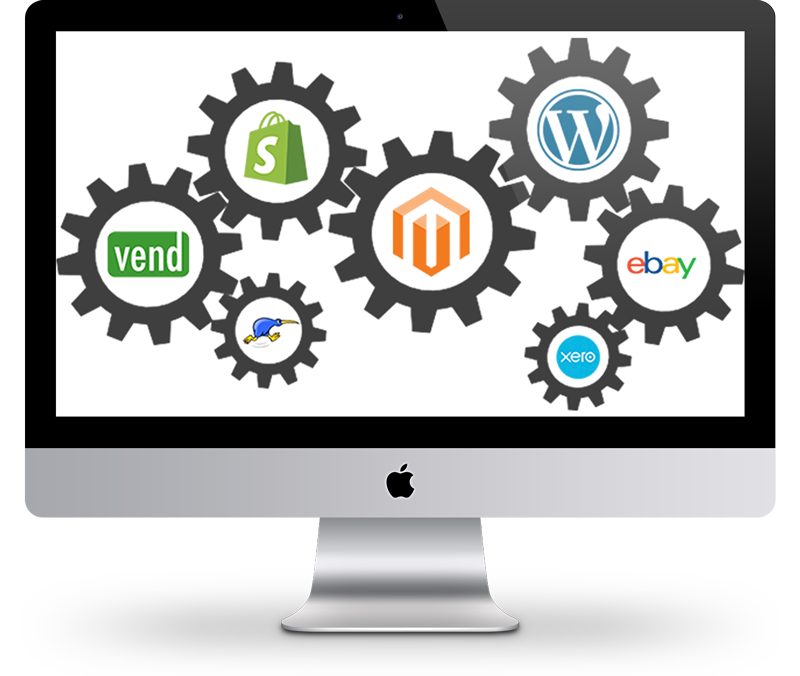 We can integrate just about anything with an API, and because we work with the open source systems; Magento, Woocommerce and Shopify. We’re able to integrate the websites we support and develop too. Just some of the applications we can build integrations for are: Xero, Trademe, eBay, Vend, Cin7, Brightpearl, Salesforce, Netsuite, Magento, Woocommerce, WordPress, Shopify, Facebook, Twitter, Instagram and more. The possibilities are endless.